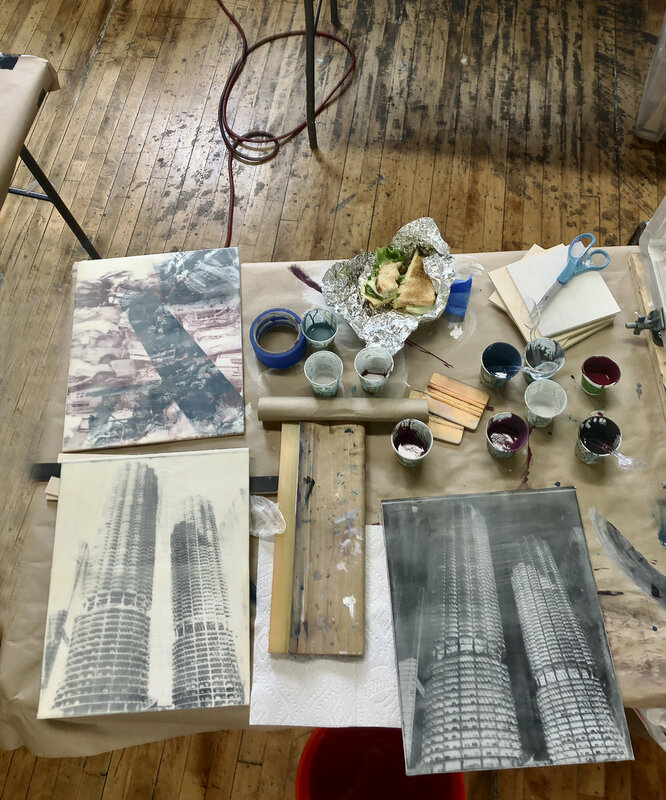 in december of 2018 i took a photo-silkscreen and encaustic workshop at the bridgeport art center...& was smitten...this was the marriage of encaustic and the still image i was looking for...undiluted encaustic photo-silkscreening. having worked for years in historic alternative photographic processes (alt pro) the combination of photographic imagery and encaustic felt very much like an extension of that exploration. applying paints to the substrate, in this case baltic birch, and getting messy with medium made from the wax of 100 different beehives and damar resin from indonesia was very much like alt pro; hand-applying the 'emulsion' and essentially creating contact prints of the screened image onto the panel--all out of the darkroom in daylight!